At World Sports Boats, we decided to do a tribute to a yacht that set a president and a benchmark for an historic british boat builder. The year is 2001 and Sunseeker International has taken a leap into the unknown with the launch of the Sunseeker 105 Yacht, their fist step into the world of 100ft plus yacht market. 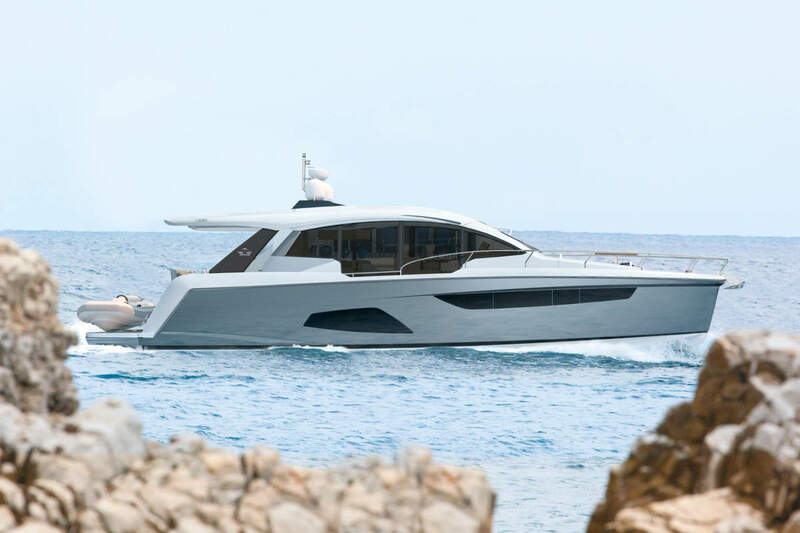 With innovation in materials and technology plus a top speed of 32 knots, the 105 was firmly set to take on the best. 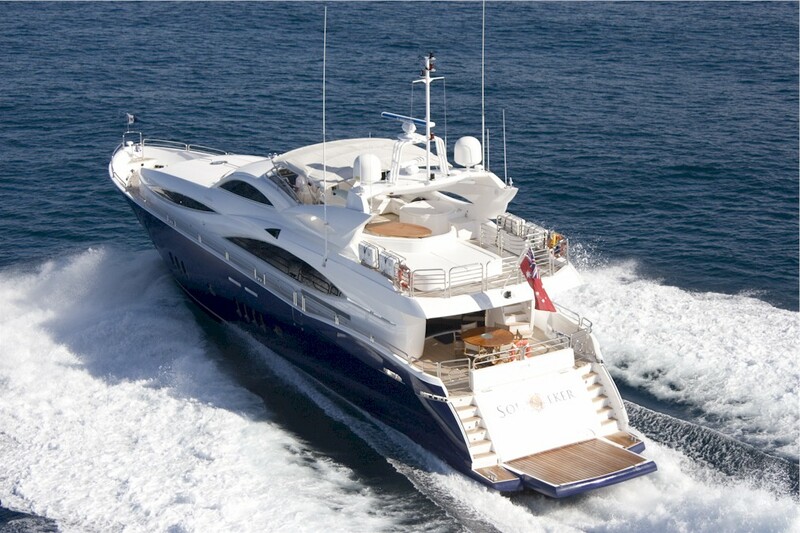 Her outstanding capabilities were in large part due to the extensive support systems she carried – and the reliability that is assured by using proven technology in a production yacht. 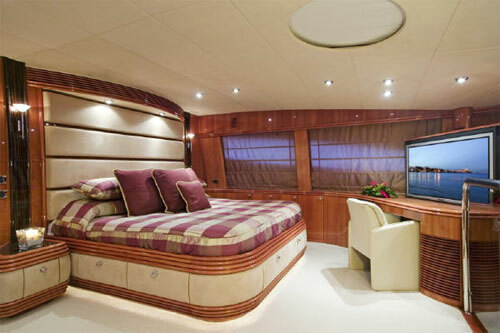 These systems include the advanced use of hydraulics, stabilisers computer-controlled generators and electrical systems, innovations that meant the 105 Yacht was safe and reliable. The 105 Yacht also became the first British-built production boat to win two of the world’s most prestigious International Superyacht Design awards. Setting the scene in the 100ft plus market Sunseeker set about establishing themselves as a major player and their first entry model into this highly competitive market of the super rich started with the truly amazing Sunseeker 105 super yacht even today doesnt look out of place with newly launched superyacht of her size even after 10 years in service. 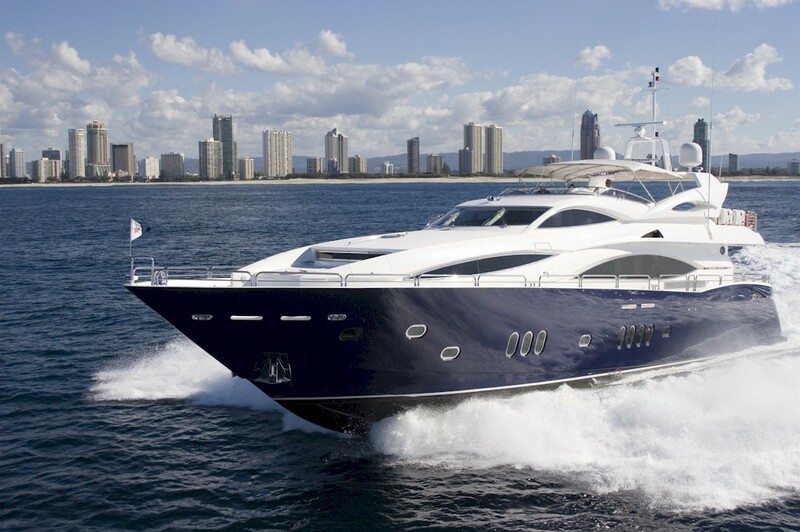 Nothing short of captivating inside and out the 105 set a benchmark for Sunseeker to continue their growth, innovation and fired the proverbial shot across the bow of many of their competitors. 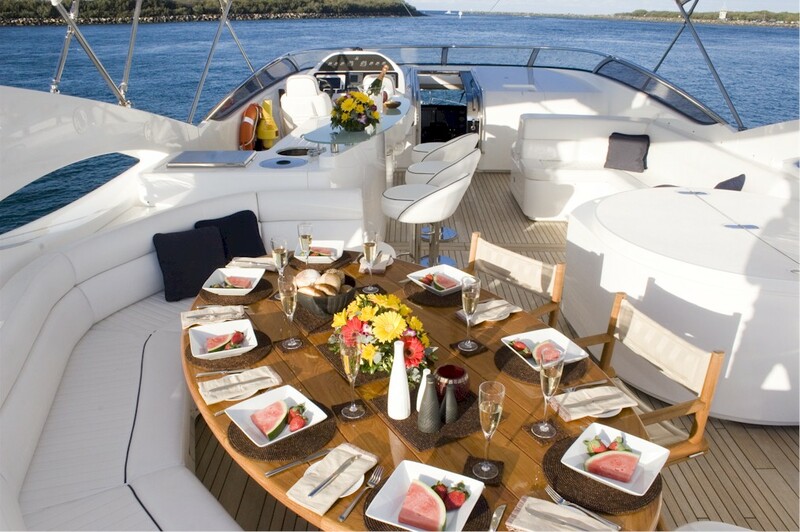 The spectacular interior is fit for any banquet or entertaining the owner wants to throw, from its sumptuous leather to the beautifully crafted wood fittings its a place to relax, enjoy and forget those daily worries. The stately bedrooms would not be a miss within the world’s top hotels and is a perfect place to unwind after a night of entertaining. 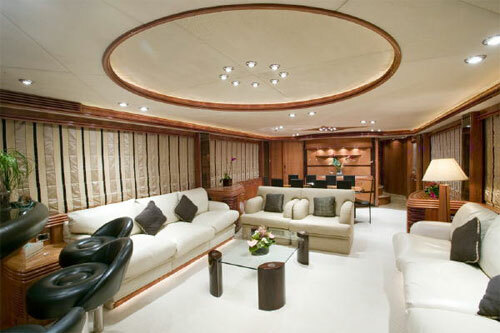 The living area has superb facilities and options, with a bar and luxurious leather seating together with wood and perfect mood lighting creating that up market feel and super yacht qualities you would expect from a yacht of this size. 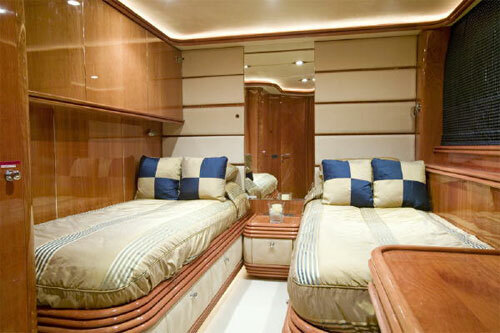 The guest cabins would keep any visitor on board feeling special and as with the rest of the yacht the furnishings and fittings are of high quality and luxury feel. 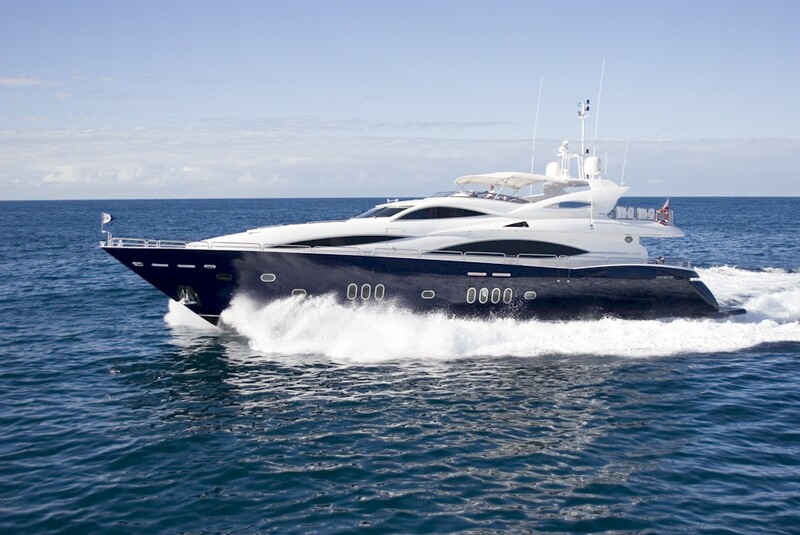 The Sunseeker 105 is truly a sight to behold now as it was when it was launched in 2001 and put Sunseeker firmly amongst the luxury super yacht builders and a road they continue to excel in year on year. 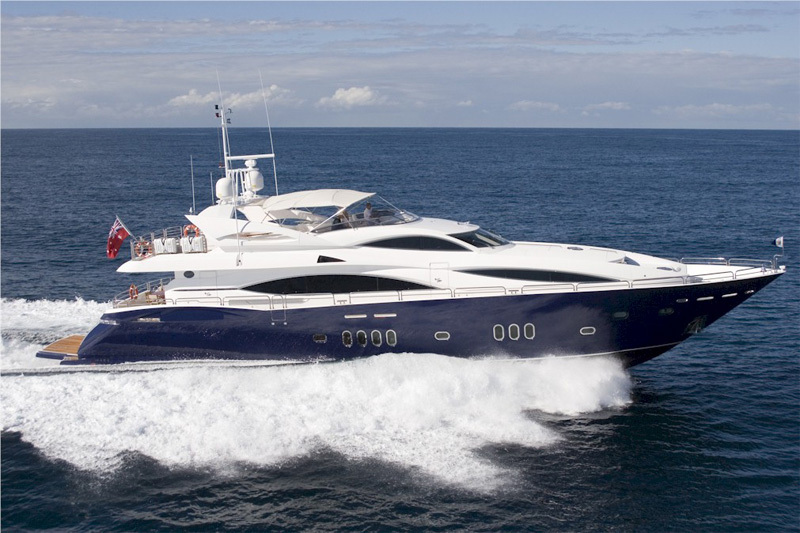 superb review and tribute to a yacht that certainly set Sunseeker in motion to a brave new world of Super yachts seems like a trend amongest UK boaut builders as Princess will be doing the same as per your reviews on the M class range. Keep them coming i say ! Awesome yacht and great Tribute, I agree with Dave be great to see more british builders in this market, more pressure on the Nordic and Italian builders!